Pictured: LL COOL J (Special Agent Sam Hanna) and Chris O'Donnell (Special Agent G. Callen). 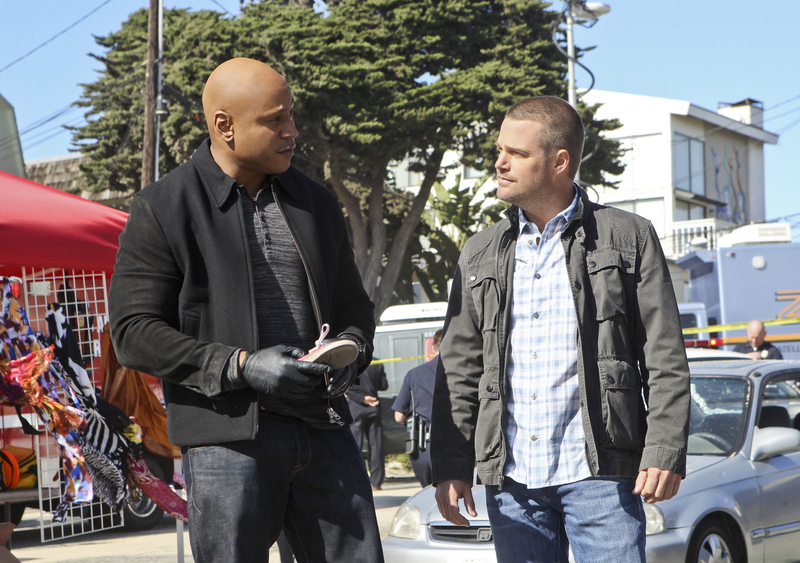 When a news reporter announces the group responsible for the deadly explosion at a military-sponsored charity event, the team must investigate her claims and search for the attacker, on NCIS: LOS ANGELES, Tuesday, May 6 (9:00-10:01 PM, ET/PT) on the CBS Television Network. Tiffany Dupont (“Greek”) guest stars as ZNN Reporter Dana Steele and Tony Okungbowa (Guest DJ on “Ellen”) guest star as Bakri Deng. Photo: Monty Brinton/CBS ©2014 CBS Broadcasting, Inc. All Rights Reserved.